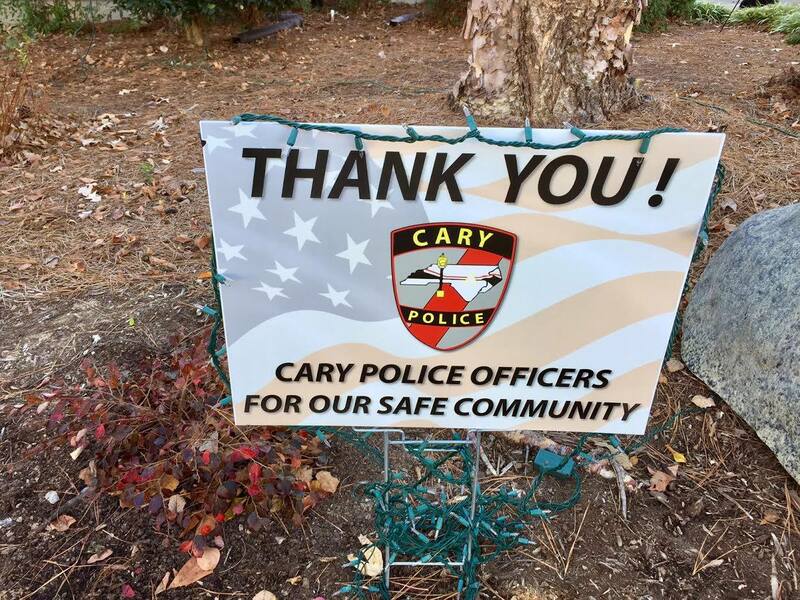 Thank you Cary Police Officers! Signs Get the Message Out! Sign Edge is happy to be working with Jim Lawson getting a message out during this Christmas season. Please do not forget to thank your local Police officers. They do such a great job to keep us all safe. We live in some of the safest communities on the planet. Thank you! Cary, Holly Springs, Apex, Fuquay Varina and Morrisville Police for the job you do.